The Tier Lite is suited to medium level foliage. Light is emitted on a horizontal plane around 360 degrees via a 5, 10 or 20 watt halogen capsule, not projecting any vertical light. 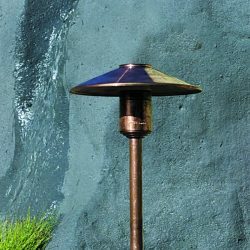 This makes this exterior lighting product ideal for illuminating flower beds and small bushes in any garden lighting scheme. 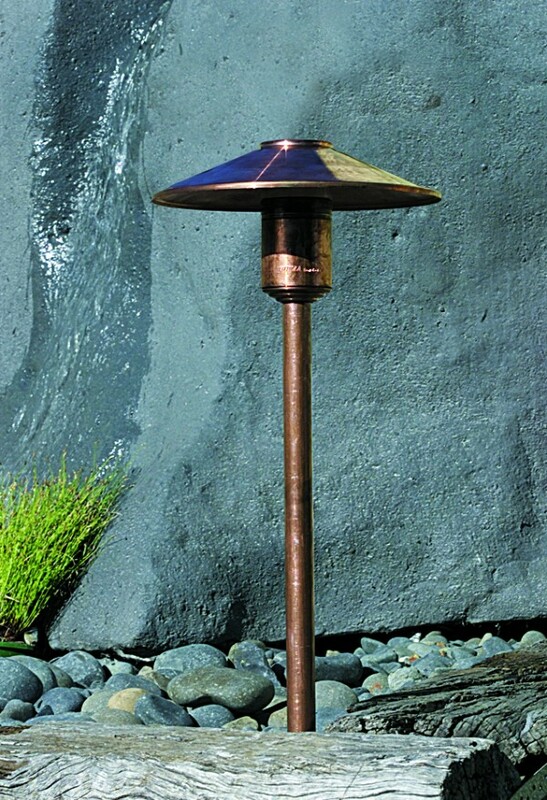 Mounted on a 700mm pole the body is machined from 10mm thick aluminium with a UV stable powder coated finish (standard colours bronze, green, matt black and silver) or solid copper with high temperature silicon gaskets, UV stable acrylic lens and anti-glare hood. 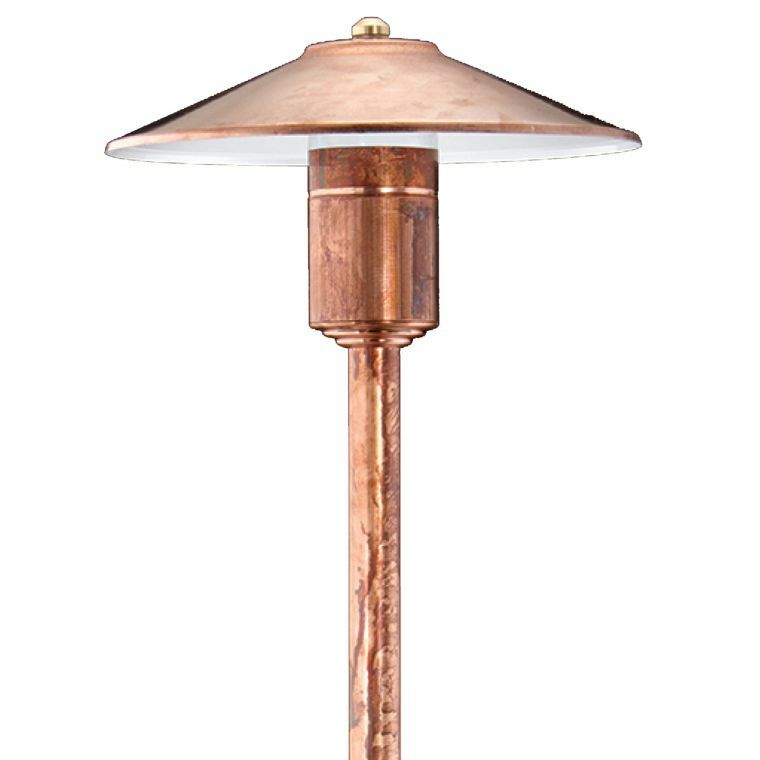 Suitable for use with a G4 bi-pin halogen lamp 5, 10 or 20 watt and is supplied with a high quality 20 watt 3000 hour European lamp.